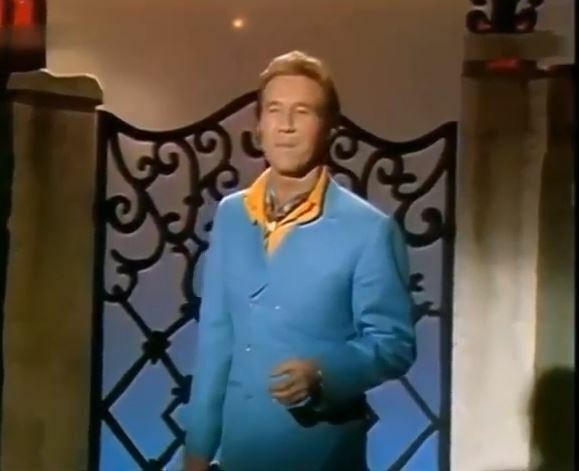 Marty Robbins Performs"Big Iron"Live Video. "Big Iron" is a country ballad written and performed by Marty Robbins, originally released as an album track on Gunfighter Ballads and Trail Songs in September 1959, then as a single in February 1960 with the song "Saddle Tramp" as the B-side single. Members of the Western Writers of America chose it as one of the Top 100 Western songs of all time. It tells the story of an Arizona Ranger's duel with an outlaw named Texas Red in the "town of Agua Fria". The townspeople predict the death of the Ranger, Texas Red having already killed "one and nineteen men", but the Ranger kills Texas Red with the swiftness of the "big iron on his hip." This term refers to the gun the Ranger carries. Texas Red hadn't even "cleared leather" - the Ranger's draw was that swift.